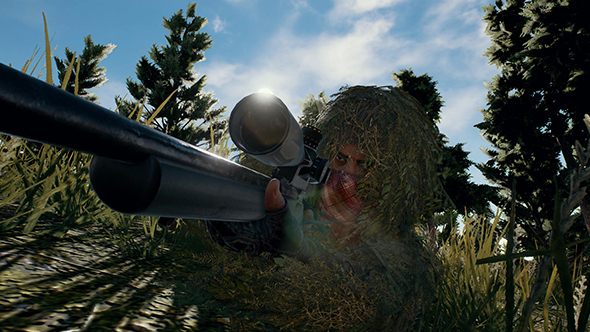 Nvidia recently added ShadowPlay Highlights support for PlayerUnknown’s Battlegrounds, giving you the option to automatically record your best and worst moments. Now, to promote that feature, they’re running a contest where the top prizes include a handful of top-of-the-line GPUs. Our noob’s guide to PlayerUnknown’s Battlegrounds will get you up to speed for maximum highlights. Maybe. The ShadowPlay Highlights contest will judge the submissions for their awesomeness and award three GeForce GTX 1080s to the very best. The official announcement includes “amusing” as one of the winning criteria, so if you’re not regularly pulling in chicken dinners you’ve still got a shot. Just don’t start team killing in pursuit of comedy or anything. 50 runners-up will also get a GTX-modeled USB drive, but you won’t be playing games or mining bitcoins with that. To keep the Highlights function running, you’ll need the GeForce Experience installed and the in-game overlay enabled. Then, hit the Battlegrounds options to enable capture there, and you should get a prompt once you enter the next lobby that will finally confirm and enable Highlights. Tag your resulting Twitter or YouTube uploads with @PUBATTLEGROUNDS @NVIDIAGeForce and #ShadowPlayHighlights. It’s a bit of a process, but hey, there’s a free GPU on the line. The feature will automatically catch your deaths, knockouts, kills, and wins, and I’m honestly not sure I’m prepared for recorded evidence of how many deaths I’ve endured versus how many chicken dinners I’ve won (it’s “too many” to “zero,” thanks).